Shockwave therapy is a non-invasive treatment that uses high energy sound waves to transmit energy into a tissue. It was initially employed as a treatment for kidney stones in the 1970’s and has now become one of the first line treatments for the condition. More recently, it has been shown to be effective in delayed fracture healing and upper and lower limb tendinopathies. These included Achilles tendinopathy, gluteal tendinopathy (lateral hip pain), patella tendinopathy and lateral epicondylitis. NICE (National Institute for Health and Clinical Excellence) has reviewed Shockwave therapy and has approved guidelines for its application. In the clinic we use shockwave therapy as an adjunct to progressive loading programmes. The therapy therefore is supported through most private health insurance companies. 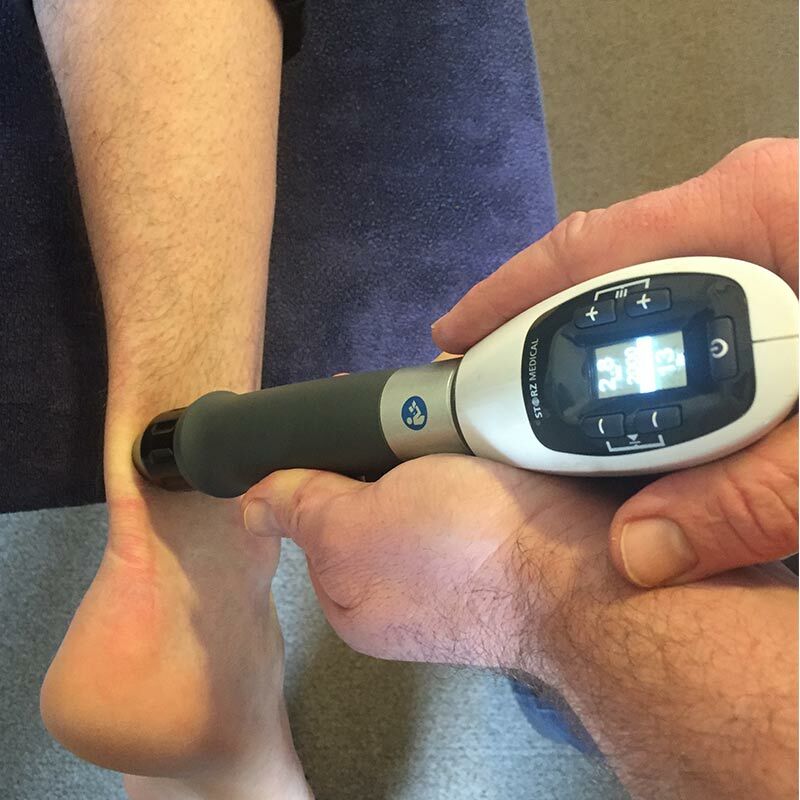 The mechanism by which shockwave therapy might have an effect on tendons is yet to be identified and further research needs to be undertaken. However, one of the stronger arguments for use is that it effectively takes a tissue from a more chronic to acute state therefore triggering repair. Treatment duration and dosage is individualised by the clinician. Duration is dependent on levels of pain and longevity of symptoms so that discomfort can be minimised. The treatment can be painful and the treatment area could be sore for a few hours after. A period of relative rest up to 48 hours is often recommended. There are specific contra-indications for shockwave therapy and our clinician will go through these with you on your initial assessment. Most clinical studies recommend 3-4 sessions, which is usually between one and two a week. In certain cases, additional sessions might be required, based on the clinical judgment of the therapist.